We offer our tenants a great deal of service and support. Through specially chosen co-operation partners, we generate added value through quantity discounts and special terms and conditions. We are continually expanding our service offer on behalf of our customers. More than 50 years of experience in the commercial property market and support service to around 1,800 tenants at more than 40 locations in Berlin, has allowed us to offer our tenants a variety of exceptional advantages and unusual incentives. As a result, we are able to reduce the costs of the tenant and simplify their work processes. With our offers and services, we’d like to support and comprehensively accompany startups on their way into independence. For this purpose, our commercial and office space is customizable dependent on your entrepreneurial development: from a single-user workstation to a generous Office, production area, up to storage facilities. 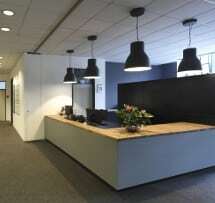 At chosen locations we offer special conditions for startups. Furthermore, GSG is closely interlocked with the key actors of the Berlin startup scene: banks, institutions, universities as well as the district business development corporations. From this, value creating co-operations arise from which you, being a start-up company and tenant in our business parks, can take advantage of. The CleanTech Innovation Center at the econopark Wolfener Straße offers young companies, whose focus is on clean and sustainable technologies, low-cost workplaces and workshops in an inspiring environment. The focus is on start-ups in the growth phase. Start-ups are supported in our innovation center with an attractive mentor program and ideal conditions in the northeast of Berlin. 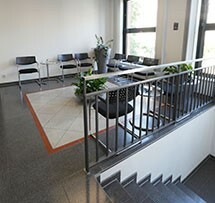 You can get a workplace in the CleanTech Innovation Center for only 99 euros per month (excl. VAT.) during the first 6 months and after that for only 129 euro / month (excl. VAT). *Geräte werden vom Vermieter gestellt, Abrechnung/Verbrauch erfolgt über einen externen Partner. Whether personal wishes or business events – with GSGplus you can save money with our partners. Here you will find great offers from the areas of leisure, wellness, sports, fashion, entertainment and much more! Do you have questions about the GSGplus program? We have also negotiated attractive rates for our tenants with PIN Mail AG . As tenant you receive a further advantage of 2% discount on PIN standard mail in the current valid delivery area. With more than 15 years of experience, the Berlin-based PIN Mail AG is among Europe’s oldest private letter and parcel service providers. Up to 700,000 mailings daily are processed in the company’s own sorting centre and prepared for delivary. About 1,150 employees ensure the smooth cycle of all internal operations and thus allow for reliable service of consistent good quality. The service spectrum of PIN Mail AG includes the core business of daily mail collection, including clearing and processing on-location and delivery to the addressees, and also includes the areas of post room management, document / data flow logistic and electronic mail. With the economic rates of PIN Mail AG, customers achieve immediate savings of up to 21 % of the postage costs at high quality. As a tenant of the GSG Berlin you get a special discount at Office Depot. Office Depot is the world’s leading supplier of office products. The benefits achieved are passed on directly to the customer. GSG-Tenants receive a key account discount on a range of goods. Take advantage of this potential to your advantage. The special conditions must be requested directly from Office Depot. Office Depot offers a 14-day money back guarantee on all the products you order, even modern payment transactions such as electronic invoicing or credit note procedure are possible. By phone, fax, and email or with your own custom-made e-Business solution. Orders which reach the Office Depot by 16:00 will be delivered to you in full on the next working day. As a tenant of GSG you will receive your delivery from an order value of € 29.00 free of charge without delivery or service charges. Furthermore, you will be granted cash discount and a payment period of 30 days. Are you looking for a suitable ambience for your meetings, workshops or conferences? 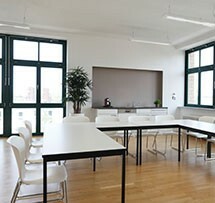 In our Service Centers in the GSG-Hof Helmholtzstraße and Geneststraße as well as in the econoparks Wolfener Straße, Döbelner Straße and Plauener Straße we will be happy to provide you with rooms with the latest conference technology for 5 to 200 persons. GSG tenants receive preferential conditions. From small, representative rooms for meeting clients and customers to conference halls for corporate events or panel discussions – GSG has just the right venue. 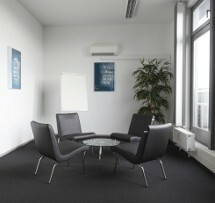 Tip: We also offer suitable meeting rooms in the Next Level Offices. Since 1989, messenger stands out as a reliable and fast courier service in Berlin. Couriers are available 24 hours a day, 7 days a week. Urgent letters by bicycle or motorcycle, valuable goods by car or large mailings by van – as Berlin service provider, messenger offers a wide range of services. All quoted prices are subject to the current fuel surcharge and VAT. The current version of our General Terms and Conditions (GTC) is valid. This offer is valid until 31 October 2018. Recommend us: We thank you for your tenant recommendation with a premium payment. If you happen to know a potential prospective tenant for our rental space and successfully recommend them to us, we will be happy to show you our appreciation with a premium payment amounting to 250,– EUR! You succesfully recommend a new tenant (doesn’t apply to a follow-up tenant or an existing tenant). We reserve the right to verify the the perso making the recommendation and the new tenant. The recommended tenaant has no automatic claim to the conclusion of a tenancy agreement. The respective person making the recommendation is responsible for the tax treatment of the premium payment him-/herself. The GSG Berlin Group explicitly points out that a premium payment may be taxable under certain circumstances. If the recommendation has been given during and as part of an ongoing employment relationship by an employee of a tenant of the GSG Berlin Group, it must be pointed out that this has to be clarified with the person making the recommendtion er and his/her employer. Any liability on the grounds set out above shall be excluded to the extent permitted by law This promotion does not apply to employees of the GSG Berlin Group or its affiliates. In addition, this action does not apply to commercially active agents either. 2 Payment to a private person shall be made ​​against receipt (indicating the name, address of the recipient and reason for payment). Payment to a company: Invoice of the company addressed to GSG under designation of the legally valid valueadded tax (VAT). At the Service Centers, we offer our tenants a number of useful services. At our Service-Centers, we offer our tenants a number of useful office services such as secretarial, copying, fax or telephone services. The services are provided by our Partner TSB Berlin. Bei Fragen jeder Art können Sie sich direkt an unsere Service-Center wenden. If you have any questions, our Service Centers will be happy to help! OFF TO THE BOX – We give high stackers a chance. 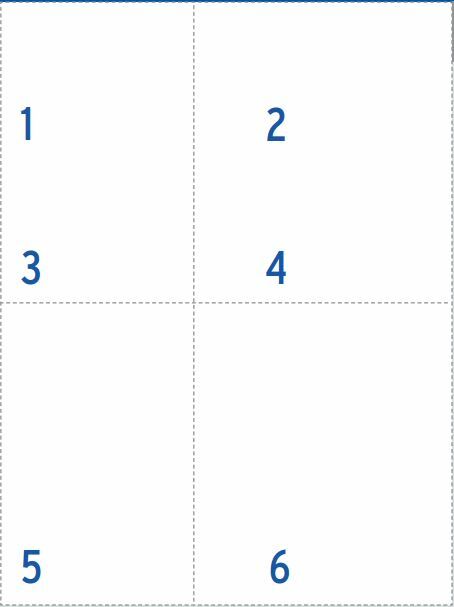 How does the box function? Market your product directly on-site. At selected GSG sites, we have display cases available at favorable conditions for our tenants to advertise their companies and display posters. 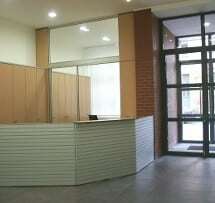 New tenants may use a display case (DIN A2) for three months free of charge. Save now your advertising space! For details please look at the fact sheet at the end of the page. GSG offers all tenants special conditions for the production of the poster films, including handling and labeling by the caretaker. Own Production: With own production and delivery please use only posters with the above-described backing material. For advertising a short notice event printed paper posters can to be used with magnets. The posters are to be delivered to the caretaker at the booked GSG-HOF at least two days before the release date. A delay in the scheduled date will lead to a corresponding reduction of the display period at the expense of the client. The above rates are commission free. Prices exclude VAT. If you want to book a display ad space, please contact your property manager. We look forward to your call or e-mail:: Tel. 390 93-0, info@gsg.de. Details regarding production and printing costs of your posters please clarify directly with our marketing team via the contact details above. Further information on GSGplus can be found on the left in the selection.